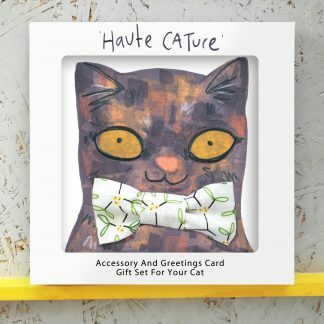 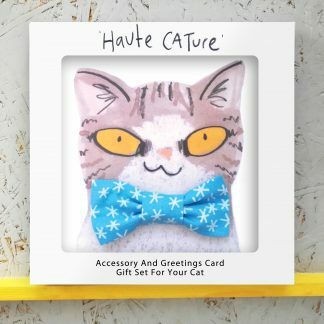 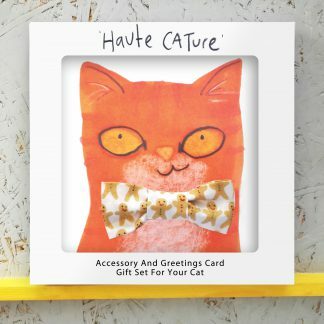 Adorable hand illustrated greetings cards designs, paired with a soft, safe and gentle pet bowtie. 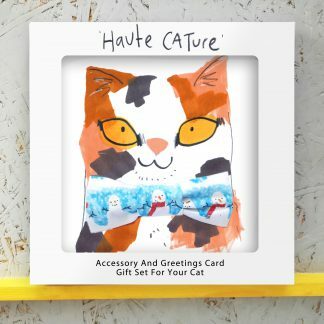 All lovingly hand made, using designer cotton, in the UK.’Haute Cature’ is a range of six card designs beautifully presented with various designer festive fabrics by Jo Clark. Each card is individually wrapped with a special handmade accessory by UK based pet accessories designer Buster & Lou. 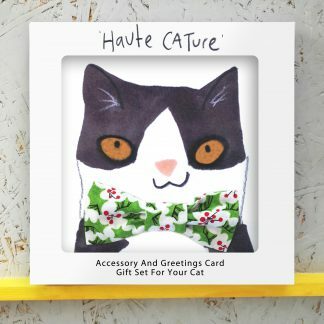 This listing is for one card and cat bowtie.Send a special message to your favourite kitty, along with a stylish festive bowtie and make sure they look their best this Christmas.Please allow up to four weeks for delivery of this beautiful specially hand crafted item to arrive. 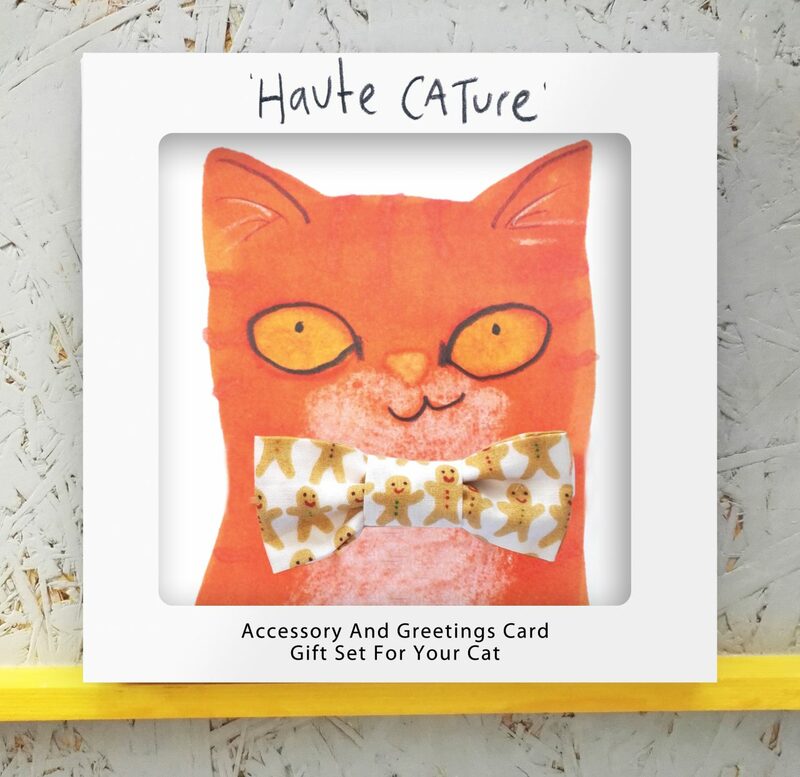 Trade orders please allow for up to six weeks at busy periods.